Berlin-based manufacturer Bird Home Automation Group expands its line of IP video door intercoms with the new DoorBird D2101IKH. This new model is equipped with an info panel and an integrated keypad for access control PIN codes. Further components of this powerful door intercom and access control solution include a wide-angle camera, RFID reader, one call button and two-way audio system. The DoorBird D2101IKH IP video door intercom is weatherproof and made of stainless steel. The call button is backlit with an engraved bell symbol and is also made of stainless steel. The D2101IKH is the first DoorBird model to feature the backlit info panel. The info panel is a backlit window where printed cards or graphics can be inserted to display the address or other information. 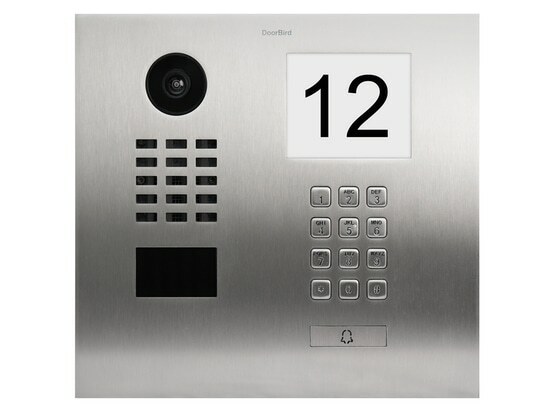 With the DoorBird D2101IKH, users can gain access to the premises using the DoorBird App, built-in RFID reader or by entering a PIN code on the keypad. Individual access codes can be assigned to, for example, a cleaning service to provide access at scheduled times or only once. Up to eight smartphones or tablets can be connected to the D2101IKH door intercom. When the doorbell rings, users are alerted via a push notification to their mobile devices. 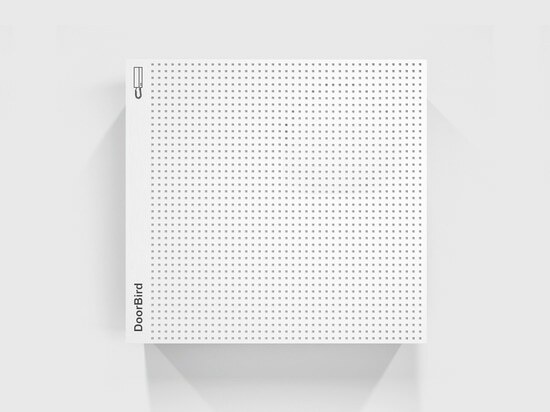 After swiping open the push notification, the user can see and speak to the visitor via the DoorBird app. With the DoorBird app, users can remotely open doors to grant entry to guests or allow couriers to make deliveries. Parents can also unlock the front door for their children if they are not at home. With the new DoorBird D2101IKH, users can have more flexibility, security and comfort in their everyday life. The DoorBird D2101IKH IP video door intercom is weatherproof and made of stainless steel.